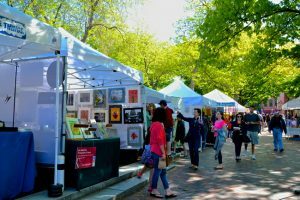 Celebrate the season at historic Newburyport Spring Festival, a tradition upheld for over 30 years on Memorial Day Weekend. 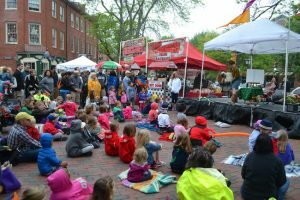 Enjoy great live music, art, fine crafts, activities for kids, and food from Newburyport’s outstanding restaurants at this 2-day FREE festival featuring entertainment for the whole family -rain or shine. 10:30am-11:15am in Market Square -Bryson Lang – Comedy Juggler – audiences will see a family-friendly show and an energetic personality performing inventive and clever routines that mix comedy, audience participation, ball spinning, flying sombreros, ball bouncing, fire-juggling, well-crafted timing, huge spinning bouncing rings, giant Beach Balls, improv, and a few surprises. 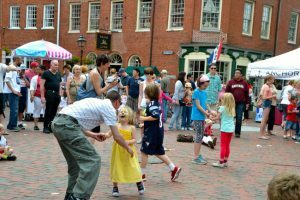 1pm – 4pm Live Music in Market Square – 617 Band – Covering your favorite party and dance hits! “Emerging at Any Age” – A group of Newburyport’s finest senior artists from just starting out to artists that have had long careers in art. Gallery will be on Pleasant Street. Come and meet some of the friendliest reptiles in New England. Brought to you by Zoo Creatures/New England Reptile, they will teach you about some most impressive animals. From giant snakes to prehistoric lizards, you can learn, touch, hold and hug. 23 mySQL queries executed in 0.226 seconds.